I know someone who missed a chance to win millions of cash after answering correctly some football related question but failed the one that has to do with ex Nigerian international and their nicknames. The guy was asked: Which former Player is refered to as THE MAN MUST NOT FALL? but guessed it wrongly as Segun Odegbami. The correct answer was said to be ETIM ESIN. This prompted me to do a little read up. Here’s 8 funny nicknames of former Nigerian footballers and how they got them. No sport lover won’t know this. 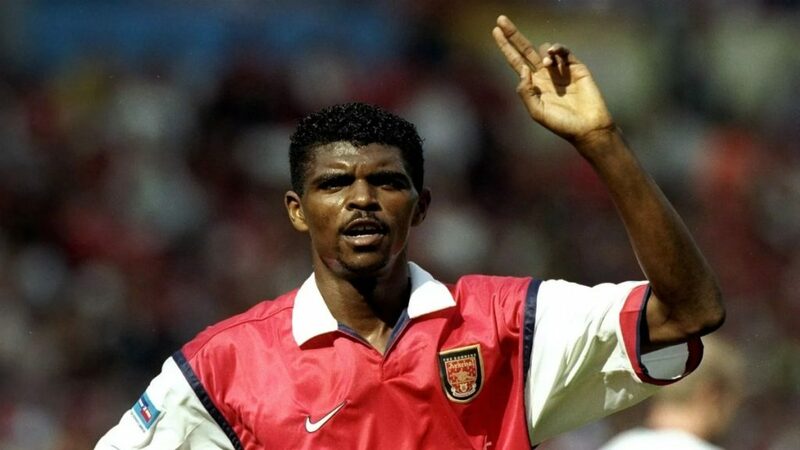 Kanu is arguably Nigeria’s most successful footballer who represented the country at the U-17, U-23 and the senior national team levels. A distinctive attribute from the former Arsenal striker is his wisdom, intelligence and meekness when dealing with people on and off the field, which was how he got the name Papilo from his friends. Although there are claims on the internet that Papillo came about because of the old school kangol aka papa’s cap Kanu used to wear off field those days. The name may not have been given to him by fellow team-mates but by Nigerian football fans. Most people actually think Jay jay is his middle name. The name Jay Jay was actually given to his elder brother, Emmanuel, who was a former national team player but as time progressed Austin took over the name from his sibling which now has global recognition. As he became more and more influential on the field of play, his name became so relevant during his playing spells in England to the extent his magical skills was being understudied at Bolton University. 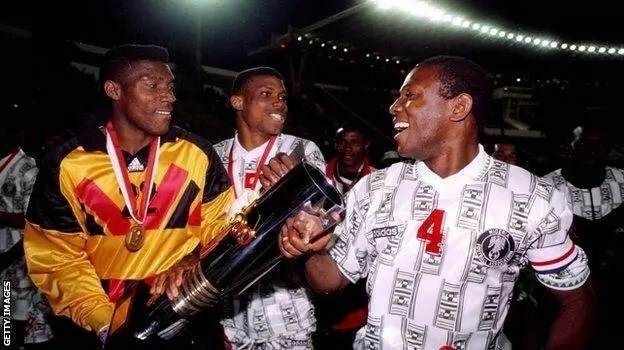 An internet user also claims that Jay-Jay was a nickname Okocha picked when he was with frankfurt FC and it was from his fellow German team mates who said Okocha looked like Jay-Jay from the 80’s comedy sitcom “Good Times”. So far in Nigeria’s footballing history, the captain with the most impeccable leadership qualities was late Stephen Keshi. He was christened the Big Boss by his teammates because he was also involved in the squad selection with former handler Clemens Westerhof before a match. The late Keshi captained virtually all the clubs he played for in Europe because of his leadership qualities and several Nigerian players secured a playing career in Belgium from the former Anderlecht captain. No wonder his leadership made him excel as a coach where he became the second player in Africa to win the Nations Cup as player and as a technical adviser. He also qualified Togo and Nigeria to two respective World Cups. 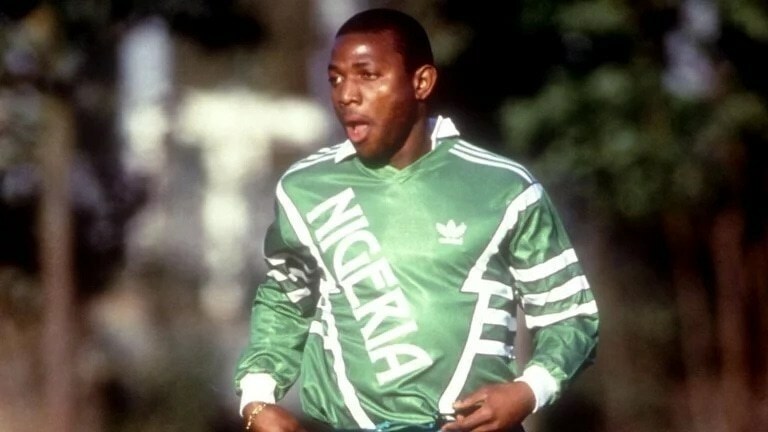 Goalkeepers usually derive their names from how safe their hands are but ironically the great Peter Rufai was nicknamed Dodo Mayana, the name of a popular dancer with the legendary Afro Beat king, Fela Anikulapo Kuti. The circumstance behind Bright Omokaro’s nickname 10-10 was when he delivered a life-threatening tackle to an Algerian player in a semifinal match at Maroc 88’ Africa Cup of Nations. The Green Eagles were reduced to 10-men when Bright came in as a second half substitute. He was told by the then coach Manfred Hoener to tactically take a man out since the Northern African country have used all three substitutions. 8 funny nicknames of former Nigerian footballers and how they got them Bright Omokaro After the incident the commentator became to call it a 10-10 tackle, a name which gained popularity on the teams’ arrival from the tournament. The legendary Segun Odegbami was so good that his speed and fast calculated dribbling skills was likened to that of Mathematics. A player of Teslim Balogun’s pedigree became a myth in the Nigerian fold. His left foot often releases a bullet of a shot which has done damages to opposing teams. 8 funny nicknames of former Nigerian footballers and how they got them Teslim Balogun during his playing days He was nicknamed Thunder Balogun because of his power driver which according to reports broke two goalies’ hands while playing in England and killed another goalkeeper after been hit in the stomach (Disputable fact though). Super Eagles ex-international Amokachi was nicknamed ‘the bull’ because of his speed, physical strength and technique during his playing days. (EDITED) Most of these names were given to them by football commentators eg Ernest Okonkwo, Mitchel Obi and others. Others are Mutiu Adepoju;”The Headmaster”…he was so good with his head. Godwin Odiye – Mr no way for effective defending. Adokie Amesimaka – chief justice, he was a law student while playing for naija. Allosius Atuegbu was known as block buster for his raw power on the ball. Obafemi Martins – Weapon of mass destruction or Obagoal.